To put together scientific advances from the perspective of Intelligent Design. 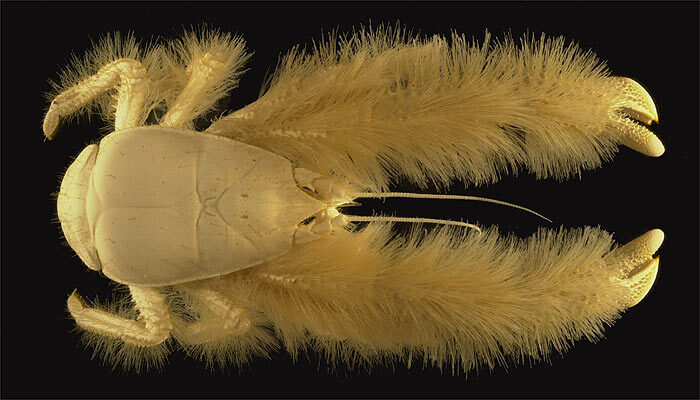 PARIS - A team of American-led divers has discovered a new crustacean in the South Pacific that resembles a lobster and is covered with what looks like silky, blond fur (the animal's pincers are covered with sinuous, hair-like strands)... The divers found the animal in waters 7,540 feet deep at a site 900 miles south of Easter Island last year... The new crustacean is described in The Journal of the National Museum of Natural History in Paris. The animal is white and just shy of 6 inches long — about the size of a salad plate. It is also blind. The researchers found it had only "the vestige of a membrane" in place of eyes, Segonzac said.